The Madd Gear Kick Extreme Stunt Scooter comes dialed straight out of the box and ready to shred your local skatepark! 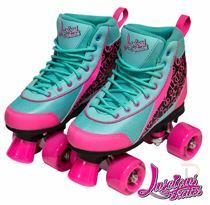 This full size complete is designed for riders 8 years and up and is backed by Madd Gear’s reputation for quality and durability. This year's brand new Madd Gear Kick Extreme Scooter is upgraded from top to bottom with TPR Swirl Grips, an Integrated Headset, Threadless Alloy Forks, 110mm Alloy Core Wheels and a V2 Composite Blitz Brake. With nine generations worth of technology and product testing from the world’s best pro riders, the Madd Gear Kick Extreme Stunt Scooter has been refined for 2019. Producing a dialed complete that strikes the crucial balance between performance and durability. 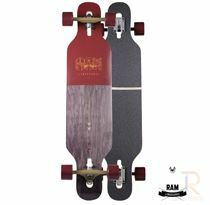 Designed for riders 8 years and up, the 4.5” Wide x 19.5” Long deck is the ideal size for riders looking to take their riding to the next level. 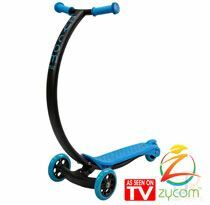 Each component of the Madd Gear Kick Extreme Stunt Scooter has been hand selected to produce a complete scooter that can stand up to the demands of today’s up and coming pro riders in a package that is easy to trick and promotes fast progression! Pre-dialed and easy to assemble, the Kick Extreme comes ready to shred and easily passes any drop test! 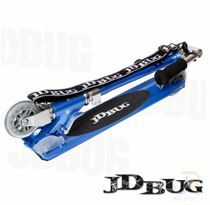 Just slide on the bars, securely tighten the clamp and you're ready to roll. Weighing just 3.22 kg / 7.1 lbs, the Madd Gear Kick Extreme could be the scooter for you.